Iconic locations across Northern Italy. Challenge yourself on the famous Giro climbs and explore hidden jewels too. Be there for the final moments of the Giro Italia in Verona. Experience Italian culture, cuisine and the very best riding areas. Conquer the might Passo dello Stelvio. 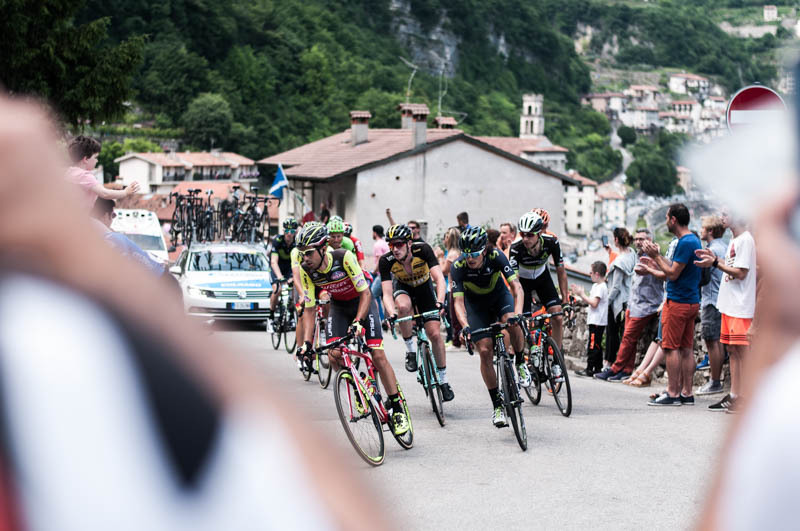 The Giro is the second longest running Grand Tour and famous for its epic mountain stages in the North of Italy. In a very Italian way all villagers celebrate the arrival of the Giro. The race coincides with the beginning of Summer and longer days in Europe, so locals celebrate with pizza, wine, limoncello, grappa and doof-doof music. Bikestyle Tours hosted 5 trips with over 120 guests for the 100th edition. However, in a normal year we host either one or two trips depending on the tour route. Riding in Italy is inspiring, as the scenery is spectacular and locals cheer every passing cyclist. Italian culture is one of the most loved and one you must immerse yourself into. We always experience things that are so, so Italian. With less international attention than the French tour, teams are more relaxed and give our guests more access to their riders.